100% Human Natural Color Virgin Hair.No shedding,No tangle.The hair is 100% virgin hair,unprocessed hair,you can bleach and dye any color as you want.They are super quality,welcome to order. 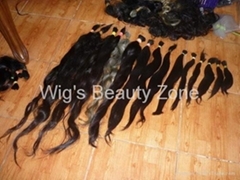 100% natural virgin human hair,single drawn remy hair.All length,natural texture. 2015 Hot Sale Single Drawn Remy Hair Bulk 20"
Can support single and double drawn remy hair,include chinese ,vietnam,myarman and indian hair.the length from 6" to 30",if you are interested in,welcome to contact us . 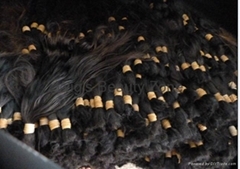 Virgin Remy Hair Bulk 18"
we can support remy indian hair,the hair is from temple directly,And we can make sure the hair is really remy indian hair,no mix.But the price is more expensive. We can support to you burman hair from 8" to 30",they are natrual color. We can support to you vietnam single drawn remy hair,from 8" to 30",they are all natral color. We can support good quality remy hair material.Not only single drawn,but also double drawn.And we are big collecter for hair material in China.So our price must be competitive.Welcome to contact us. 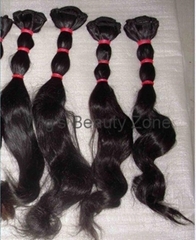 2015 Hot Sale Remy Hair Bulk 24"
We are also supplier for raw material.Our quality you do not worry.When we got the hair from different small supplier.We washed the hair and combed ,choose the hair for the clients.So the quality is good.And they are clear. The length from 6" to 32".Welcome to contact us for cooperation. 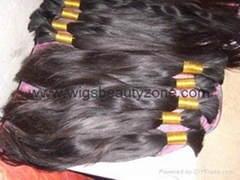 2015 Direct Sell Virgin Remy Hair Bulk 22"